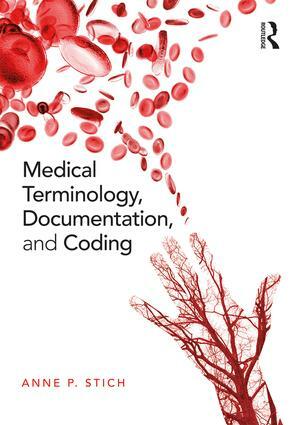 Giving students the strongest possible baseline in medical terminology, along with the how and why it is used in documentation and basic coding, this is a vital text for all students taking courses in the area. It allows readers to use their knowledge immediately in any medical setting (including being a patient), in their workplaces, and in the journey to future careers. Recognize words by constructing medical terms based on root words, prefixes, linking forms, and suffixes. Define, spell, pronounce, and use medical terms, acronyms, and abbreviations in the context of patient care with appropriate documentation and coding examples. Identify anatomical directions, fundamental anatomical terminology, basic physiologic functions, and common pathology of all major organ systems with related medical investigation tools, procedures, and pharmaceuticals. Relate the use of medical language and medical record-keeping to the SOAP format, common medical reports, and coding tools, along with their impact on patient care. Accompanied by plentiful color illustrations and activities, as well as a companion website with resources for both instructors and students, this is a fresh and readable textbook.